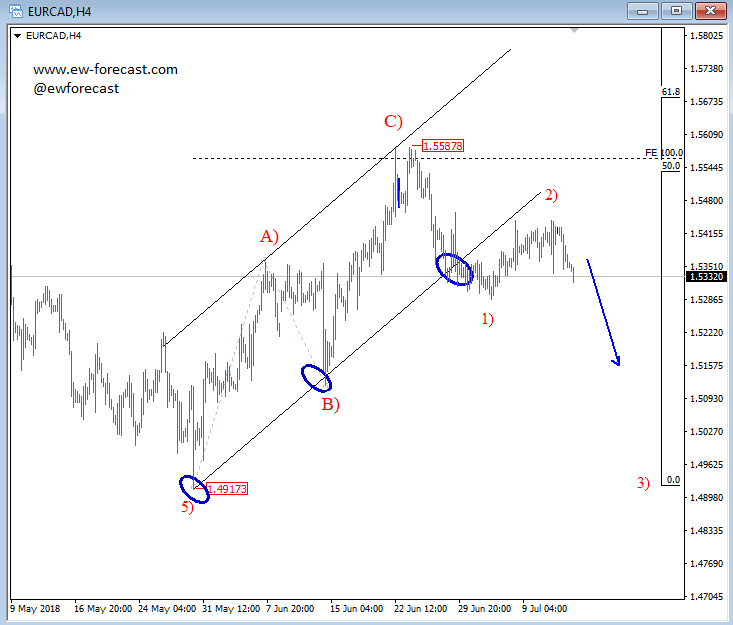 Crude oil made a new swing low yesterday, ideally that was a fifth wave within wave C so new reversal up may show up, at least with three legs. 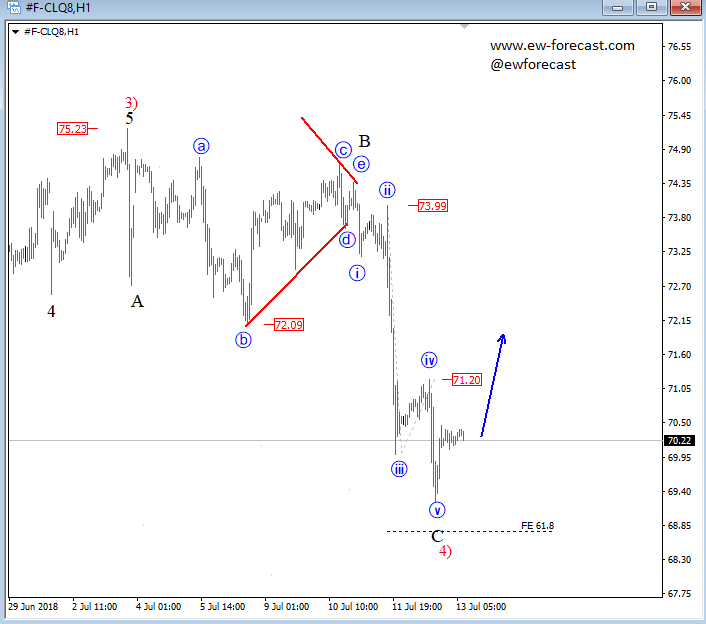 However, attention will be on a five wave bounce back above 72.00 as this would signal a new bullish attack for energy. At the same time CAD may see some upside, but maybe not so much against of USD because of overall dollar strength, but maybe against EUR, especially if we consider very good looking bearish set-up while market is below 1.5587. If you would like more analysis like this and more knowledge then please visit our website at www.ew-forecast.com and subscribe for a 14-day Trial, where you will have access to our fx, gold, silver, sp500, dax, 10yr notes, bunds and btcusd analysis with monthly, daily and intra-day time frames. All of this and more for 1€.